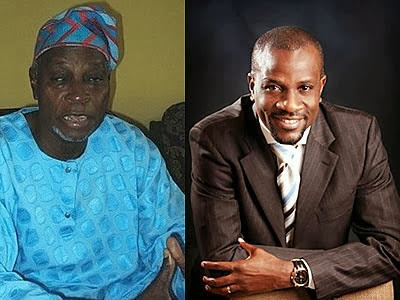 The son of Chief Olu Falae and a former Tourism Commissioner for Ondo State, Ayodeji Falae who died on October 3rd, 2013 in a plane crash will be laid to rest today. 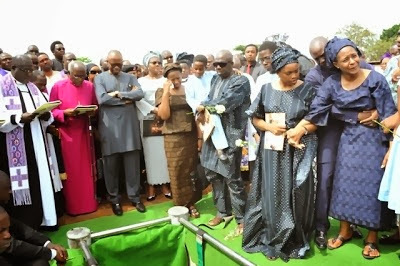 His funeral service will hold today at St David’s Cathedral in Ijomu area of Akure Ondo State, Nigeria. 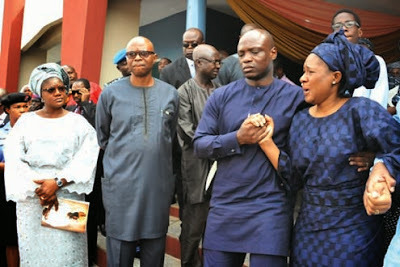 Late Deji Falae, who was the 2nd son of former Secretary to the Government of the Federation, Mr. Olu Falae, passed away 6 days to his 43rd birthday when an aircraft conveying late Ondo Governor, Olusegun Agagu’s corpse to Akure for burial crashed moment after take-off at MMIA Lagos. 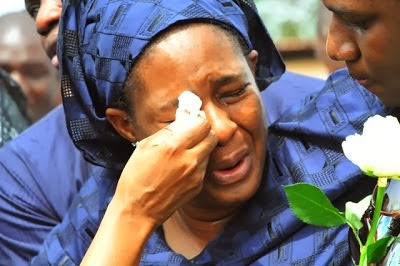 Deji’s widow, Mrs Ese Falae Crying during funeral. 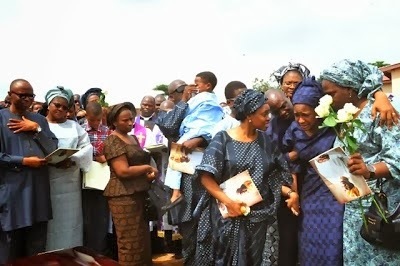 In honour of the late commissioner, a farewell service was held on Tuesday, 12 November, at This Present House, the dome end of Admiralty Road, Lekki Phase 1, Lagos State while a Christian wake took place on Wednesday at the Adegbemile Cultural Centre in Akure, Ondo State. May his gentle soul rest in peace Amen. 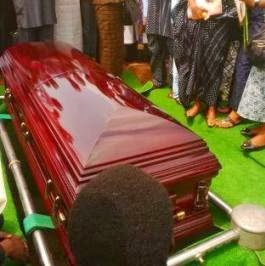 May His soul rest wit d Lord…such a young man n beautiful family. 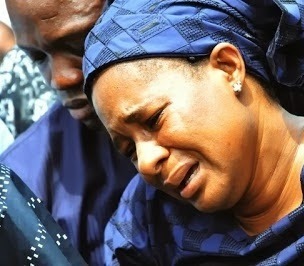 May God giv d wife d hrt 2bear dis irreplaceable loss n 2 his dad too. Continue to rest in The Lord bro. 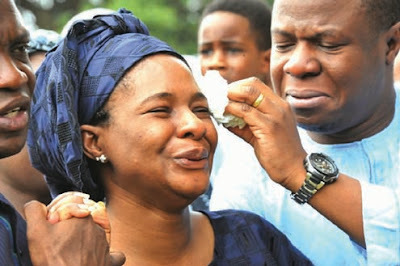 May God in his infinite mercy be with the family you left behind. 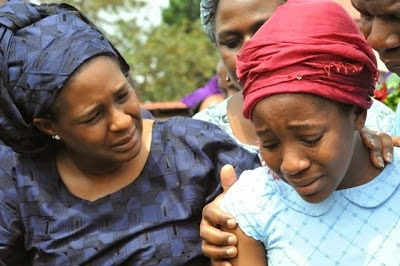 Stupid ,stupid,heartless death,wicked death.just look at this woman and her kids you took their joy away .blind foolish death.why didn’t you take the old man in his place.may God give this young family the best of his protection and something great to fill the hole in their life.DEJI rest in peace. what a painful death Rip. Such a pity. Look at the pretty wife and kids. Why did he have to follow that same flight that is carrying a copse? Gods knows best.